Hello Friends! How many of you know that 20% of bandwidth would be reserved in Windows 7 by default? And Do you know that it decreases your Internet speed by the factor of 20%? Actually, some amount of Internet bandwidth can be reserved by system. So, if you use slow Internet connection, you can limit bandwidth in Windows 7 to speed up your Internet speed. 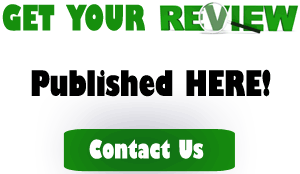 This article will guide you how to limit reservable Internet bandwidth in Windows 7 Computer. STEP 1 : First, Open Start and type Run in Search bar and Hit Enter. STEP 2 : Type gpedit.msc in Run box. STEP 3 : Now navigate to Local Computer Policy > Computer Configuration > Administrative Templates > Networks > QoS Packet Scheduler. 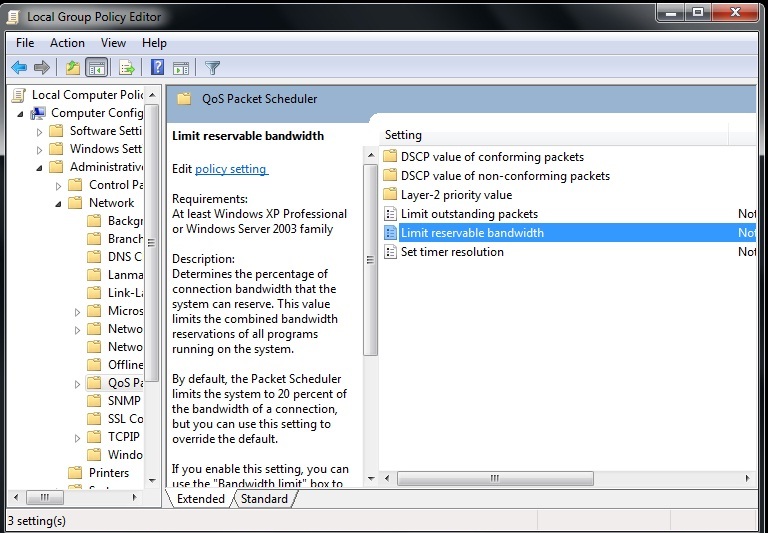 STEP 4 : When you will Click on QoS Packet Scheduler, you will see the following screen. Here you have to Click on Limit Reservable Bandwidth. STEP 5 : A new window will appear after Clicking on Limit Reservable Bandwidth. In this window, you will see the option for Bandwidth Limit but it is Not Configured yet. Now you have to Check Enabled option to limit reserved bandwidth. By default the reserved bandwidth is set to 20 in Windows 7. Here you have to set it to 0 (Zero). Look the following screenshot for the whole process. STEP 6 : At last Click OK and Close Group Policy Editor. Now you need to Restart you system. All Done! Enjoy the fast Internet Speed as compared to before. If you want to Reset it to 20, simply Check Disabled/Not Configured option to make it as default in Windows 7. It does not increases internet speed. This speed is only reserved during windows updates. So in general you cannot increase your internet speed by this tweak. this trick is not working in my windows 7 laptop. when i type the given word gpedit.msc it says it’s not existing. and to correct the spelling. what should i do? It should work. It’s working my side. Make sure you’re typing or entering the correct command. At home, I have a desktop with Windows 10 installed and 3 users configured. Myself as admin and 2 other local accounts, for my kids. I have a internet connection with a limited bandwidth per month – but kids use it up, by browsing you tube and other equivalent high bandwidth sites. So can I use a similar method to limit their bandwidth usage or can you suggest something? Note: No wifi is involved. Is the process also same in windows 10 ?